Kurtis Williams, ‘19, throws in competition during the 2018 season. 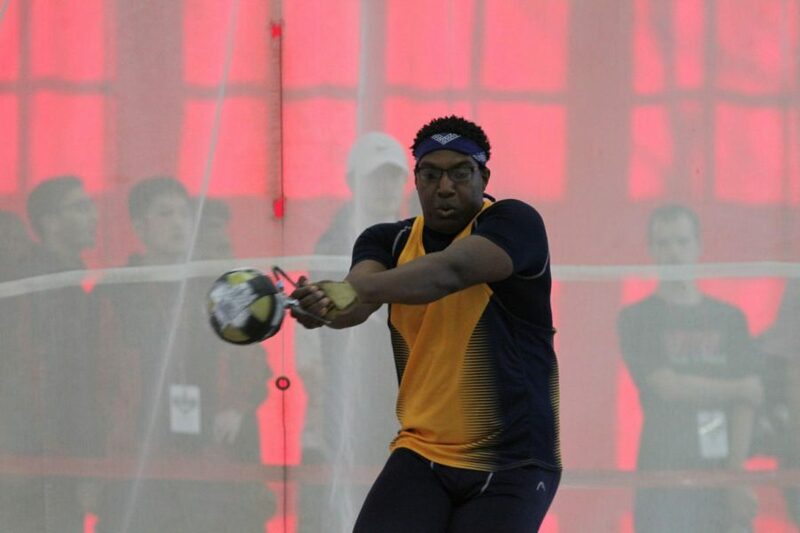 Williams was the 2018 NCAC Indoor Champion in the weight throw. With goals ranging from earning a conference title to keeping a high team GPA, the Allegheny College Track and Field team set out to become the best at both academics and athletics this season. With a large first-year class, one shared goal by the seniors and coaching staff is the development of the young group so they will be successful for years to come. Williams pointed out how the first year of being on the team is an adjustment period, due to the increased intensity of college athletics compared to high school sports. Assistant Track and Field/Cross Country Coach Kimberly Gallavan discussed how the academic success of the team is their most important goal. She discussed the intensity of the change from a high school mindset to a college one. The coaches try to make sure their athletes are utilizing their time well, which allows them to be successful with academics and athletics. “We try to keep in close contact with our first-years so that way we know that their classes are going well and that they’re handling the extra workload of being on a sports team in college,” Gallavan said. Kara Travers, ’21, emphasized the importance of having a high team GPA. She said the women’s team is striving to have a team GPA of 3.5 again. Travers also believes the young team will help the team grow. “I think that we’re very underclassmen heavy and that’ll help us in the long run because as we get older we will all progress as a team,” Travers said. Williams agreed that the team bonding is driven by their newer peers. 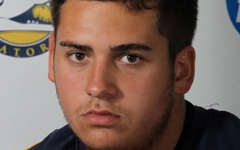 Head Coach Justin Linzy told the team that team interaction at this past Saturday’s Wooster Fighting Scot Invitational was the best he has ever seen. Linzy told team members they were the most family-oriented they have ever been, according to Travers. Gallavan discussed how the group has been developing a better culture this year. 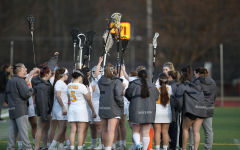 “They’re doing a better job of becoming a fan of the sport in its entirety rather than just what they specifically do, which is going to be huge for our success at the conference level,” Gallavan said. Good team interaction is not the only goal the team set for themselves. Sarah Hevener, ’19, hopes that the team remains healthy, and in doing so she believes they will place high at conferences. “If we could stay fresh and healthy while loving what we do, then it’s looking good goal-wise,” Hevener said. For the men’s team, with technical work and training, the team could get runner-up at the conference meet, according to Williams. Williams hopes to build the members up so that the team is feared amongst their competitors. “I want to be that team that has the powerhouse athletes that when we walk into a stadium, people are afraid to race or throw against us,” Williams said. 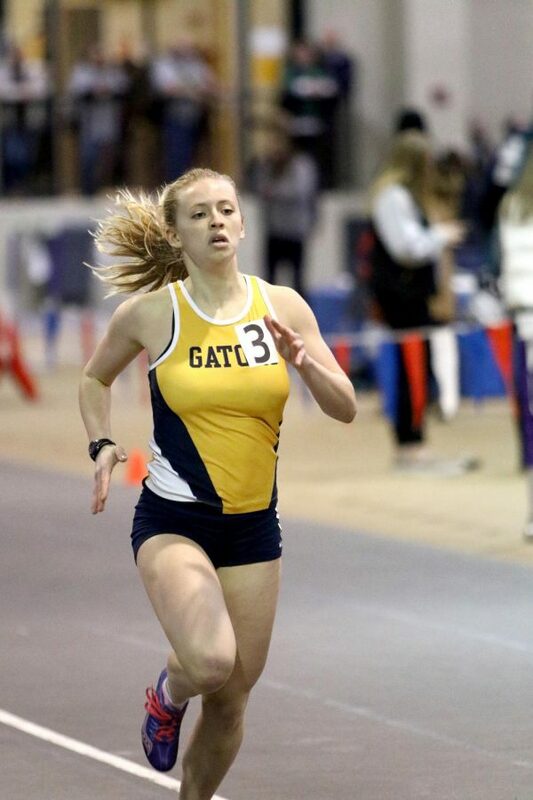 Tori Valachovic, ‘20, sprints during the 2018 indoor season. Valachovic was a 2018 All-NCAC indoor athlete who competed in two events. Travers’s main goal is to make it to the indoor conferences again, hopefully placing within the top eight this time. Although its season has just begun, the team is on track for great success. Gallavan believes that by reaching their goals of becoming successful students, the team can also become successful athletes.